Paintings are a wonderful way to wrestle with questions and explore emotions without the limitation of words. In my work I draw from abstract expressionists, modernists, and romantics, synthesizing their marks and philosophies with my own natural inclinations. Bringing together these seemingly-disparate elements into harmonious compositions gives the work depth, meaning, and contrast. I am deeply interested in the concept of identity. What is it that shapes who we are, and how does who we are affect how we see others? In the Amend series, I juxtapose compositional elements like structure, line, and form with expressive depth and color to explore what influences human identity. More recently, within this process, I’ve explored the landscape as diptych, creating rich, semi-abstract environments that speak of the horizon as a meeting place of the human and the Divine. In these pieces I’ve focused on responding to spiritual impulses in meditation and prayer. You can read more about this in the statement on the Sacred Horizons page. Ultimately, I want viewers to be moved by the work; I want the work to be experiential as it transmits a weight of emotion that has been captured within the surface. Many of my paintings are available as high-quality digital prints on museum-quality paper or artist canvas. If one or more pieces in particular interest you, please use the contact form to send me a message. Custom sizes are available and will be signed and numbered before shipping. Many original paintings are for sale as well—feel free to make me an offer. Exploring the connection of the human with the Divine, I’ve immersed myself in a spiritual and cathartic creative process. My interest in diptychs as the meeting place between contrasting realities has drawn me to see the horizon as an intersection of two realms—sky and water, clouds and land, the Divine and the Human. 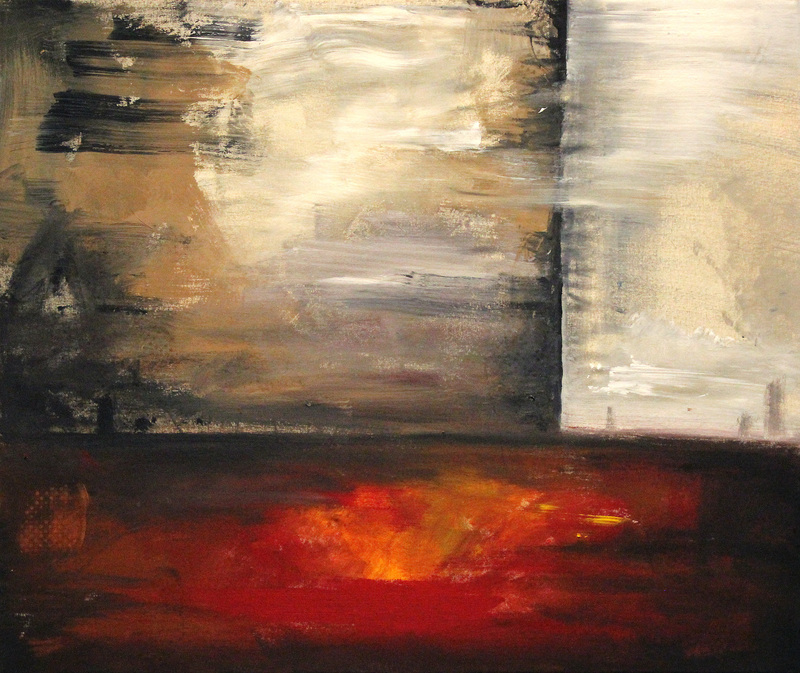 It is in this meditation that I approach emotive landscapes and vivid abstract compositions. The environments I create are indicative of the messy and emotional process of understanding ways seemingly disparate things interact. I’ve shown my work in various locations across the United States, including Baltimore, Philadelphia, Los Angeles, New York, and my new hometown of Chattanooga, Tennessee. In 2004 I was a recipient of the Daniel Vollmer Scholarship for the Arts, and upon moving to Chattanooga, I became a member of the Association for Visual Arts. Today much of my life revolves around creativity in a variety of media. I enjoy anything visual and have made it a point to use my creativity in many outlets. In addition to my paintings, I draw residential architectural plans, write poetry and songs, and work as a designer on websites, logos, and print materials for a wide range of clients. Though I was raised in the Baltimore area, I now make art in my home studio in Chattanooga where I live with my wife and our two children. Stay tuned to the News page for updates as I post new images of work and announcements for upcoming exhibitions. Looking for my design work? Please click over to Brian Behm Design.